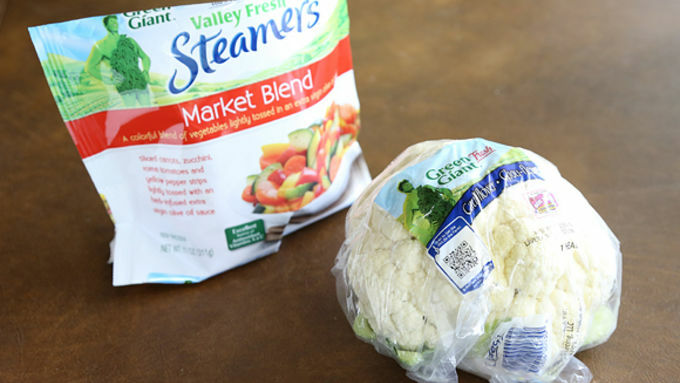 Begin with some cauliflower and Green Giant Steamers, and preheat your oven to 425°F. 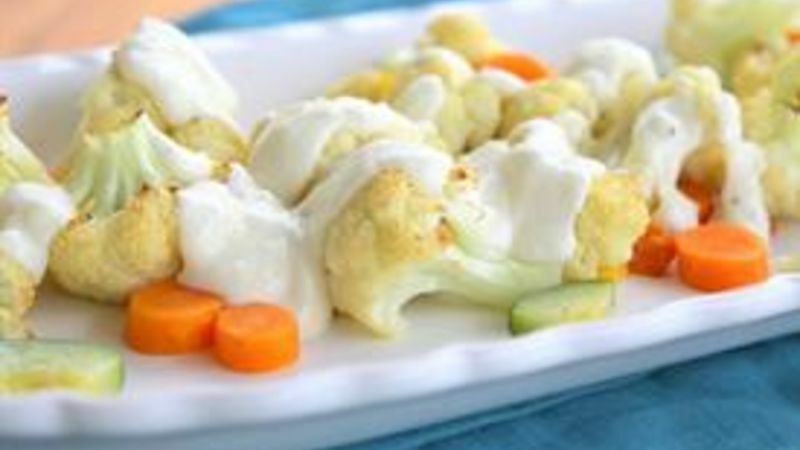 Place the cauliflower and frozen vegetables in a large bowl. Add the olive oil and toss to coat. 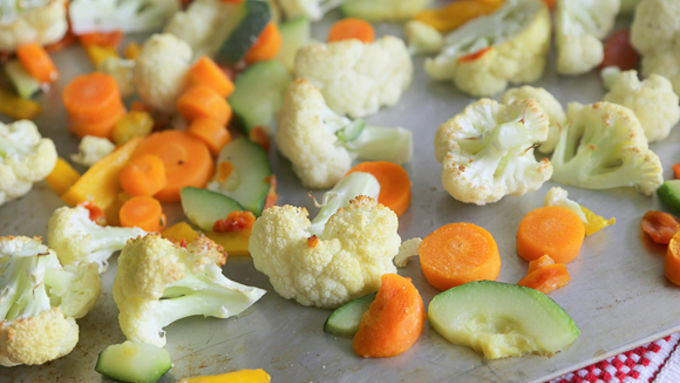 Spread the vegetables in an even layer on a baking sheet and sprinkle with salt and pepper. Roast the vegetables for 10-15 minutes or until edges have caramelized to a golden brown color. 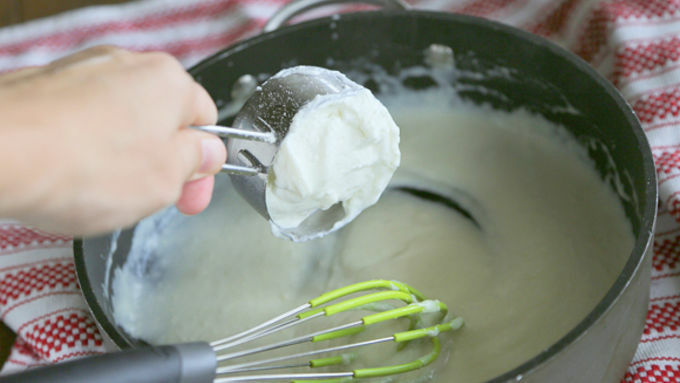 While vegetables are roasting, prepare Alfredo sauce. Melt the butter in a sauce pan. Add the cornstarch and whisk until smooth. Add the milk, slowly whisking until smooth over medium heat. Add the Parmesan cheese and stir until smooth. Turn the heat down to low and stir in the Greek yogurt. You can adjust the thickness here if you like by adding more milk if you want it thinner. Drizzle sauce over roasted vegetables and serve immediately. Enjoy! As much as I love Alfredo sauce, I don't love the way it makes me feel. 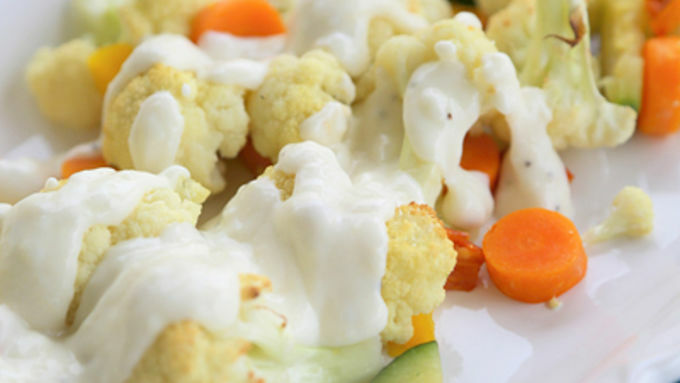 So here's a fresh and healthful Alfredo that pairs perfectly with roasted veggies! 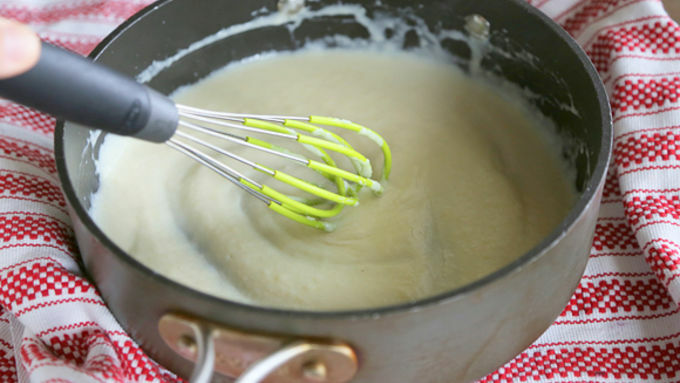 Alfredo sauce is one of the most decadent calorie laden sauces out there made from copious amounts of butter and Parmesan cheese. In a perfect world, Alfredo sauce would have a lower calorie sister that tasted just as good. Could it be that such a thing really exists? It does! This Roasted Cauliflower with Alfredo Sauce is a fresh, easy dish that tastes anything but ho-hum healthy. You've never been so excited to eat your veggies, have ya?